Ivano Zanatta, the much-traveled Canadian who is currently assistant coach of HC Sochi, spoke to KHL.ru about his hockey beginnings with his Italian family, his experiences in Russia and the KHL, and his time working Fabio Capello and Silvio Berlusconi. - Tell us, how did it come about that you signed a contract with Sochi last summer? 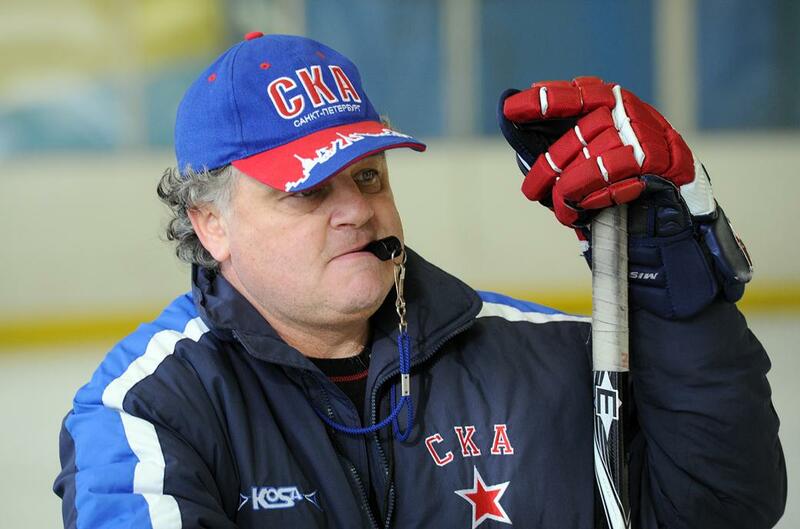 - I contacted Sergei Zubov, who is a great hockey player, great coach and great guy. We talked a little, and I said I really wanted to come back to the KHL. I had been working in Switzerland but I really enjoyed my time here. Then I got the return call and here I am. - What do you think of Sochi, in terms of infrastructure and organization? - Everything is great, and it could become one of the top spots in the League. The infrastructure is first-rate, and they have a great group of people, staff, and administration. Very positive experience. - Could you tell us about your role in the coaching staff? 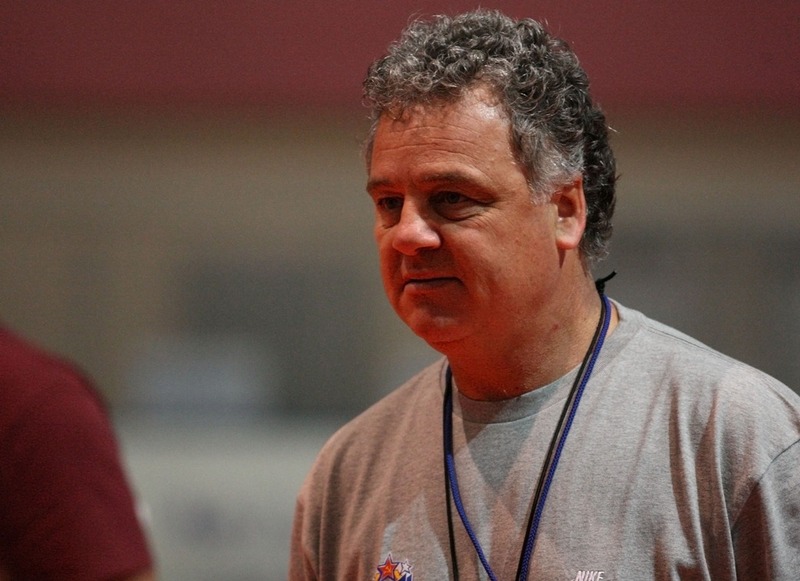 - I am working with the forwards. For us coaches, there is so much to do to help players. Look at how the goaltender has been the most improved position in hockey over the last 20 years. A goaltending coach just has to coach two or three athletes, so it is no surprise that the role of this position has grown. In our case, having an extra coach is only going to make things better. Especially for the players: you put them into a position to perform, to succeed. - Do you mean that the players are getting more attention? - That is the whole idea. You have to give them the tools to succeed, and that is our job. We do extra work with the players, be it video analysis, phychological, fitness or tactics-based. - You have a multinational coaching staff. - We have a Finn, a Swede, a Canadian and two Russians. It is interesting to work with such staff. In our case, this coaching staff is only going to improve things. Especially for the players. We put them into the position where they will perform at their highest level and succeed. We had a similarly international staff at Lev Praha, and that was a success. - How is the season going so far? - We have had our up and downs. 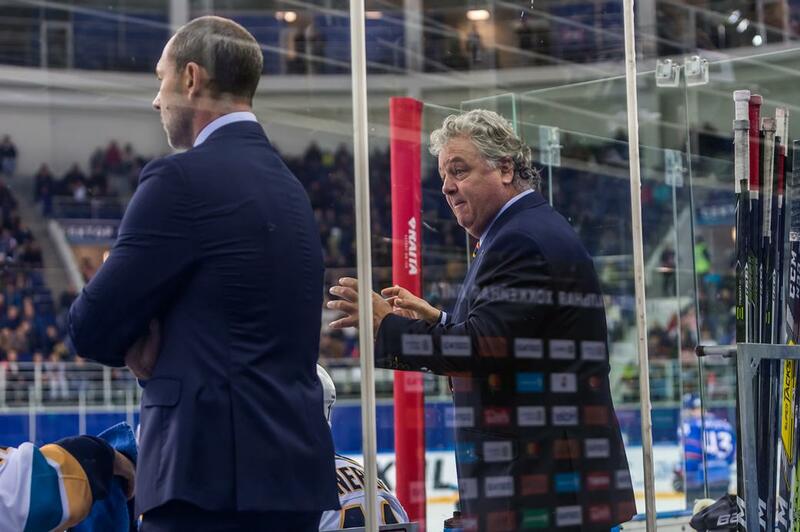 The players needed to adapt to one another and unite behind a common aim; the coaches needed time to see who could do what on the ice, and to establish the philosophy of the team. The most important thing is we have a real fighting spirit, and that is the key to success. We are prepared to battle every night and carve out a chance to succeed. We can see how hard it is to get into the playoffs, but that just makes the League more interesting. Fans love to see that. We are in good position, and we know we cannot be complacent. We have no right to relax, and we must work hard every day. - But now you are in comfortable position. - We are still not satisfied. We are well aware that we must not let our guard down. We have to work hard every day. - You had a painful defeat in Ufa, 3-11, at the hands of Salavat Yulaev. - It was one of those nights. These things happen, but they are a good test of character. The next game we bounced back and won 5-0 in Kazan. It is always really tough against Ak Bars, but to win there, and by such a score... They main thing is the way the players responded to the defeat. 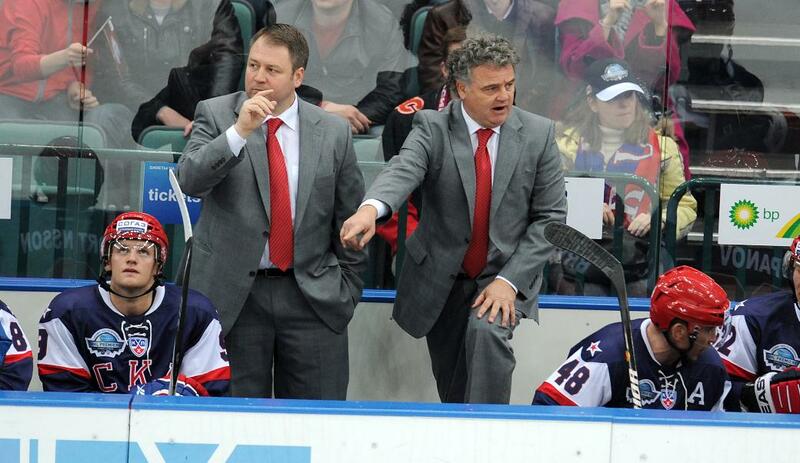 - Your previous work in KHL was with Lev Praha. That 2013-14 season, when your team was runner-up in the Gagarin Cup final, is considered one of the best in KHL history. - That was tremendous. I have really fond memories and it was great to be part of it. We had group of guys, of about seven different nationalities, but they played together as a team. It was something special. We tried to go as far as we could, we earned our success, and we stuck to our philosophy. - Do you miss those times? - You have to go forward, and use all this experience in the next stage of your career. - It must one of your fondest memories in your career, considering the level. - It was great. You never forget any chance you have of becoming champion. We lost in Game 7 of the final, but the whole campaign was stunning. - Do you talk to any guys from that era? - I'm still in touch with Justin Azevedo, Jiri Sekac, Jiri Novotny, Vaclav Sykora and Kari Jalonen, and this year I've seen Patrick Zackrisson, Mark-Andre Gragnani, Michal Repik, and I spoke to Nathan Oystrick, who ended his career after that episode. - Who was the best player in the team, or was it the kind of team where you had no stars? - Our goaltender, Petri Vehanen, was such a calm, positive man, and guys loved to play in front of him. His backup, Atte Engren, did not play much, but he won us a huge game 6 in Donetsk, 1-0, that got us into the Conference final. The guys were from different hockey cultures, but just pulled together and adopted a united hockey philosophy. - Your first job in Russia was with the junior SKA team. - That was when I first met Sergei Zubov, as he was playing for the first team. Working with the juniors was important for understanding the psyche of people living in the country, and to discern what they should be encouraged to do. It was great experience, and it's nice to see some of them playing in the KHL: Alexei Kruchinin, Sergei Monakhov, Nikita Tochitsky, and Ilya Ezhov, although he was with the first team but he was often around our group. It's a great organization with first-class people. 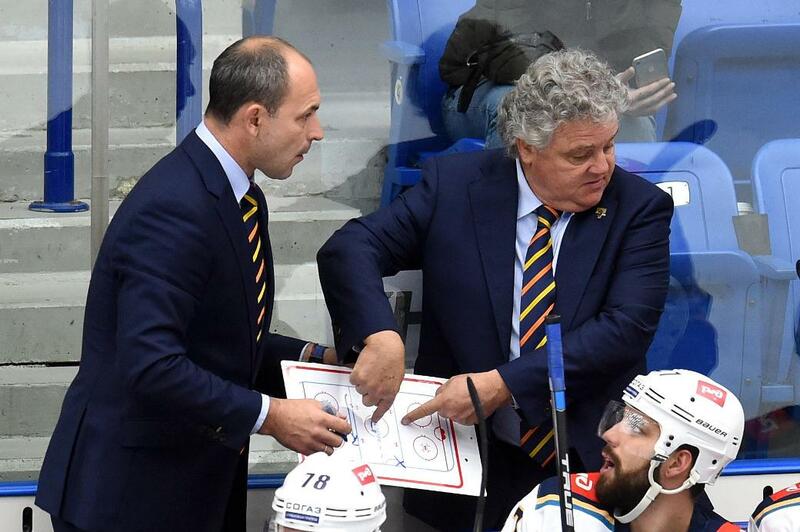 - And it is not like working with a KHL team. No five-star hotels or charter flights. - It is interesting to see some reality - trains, buses, but the conditions were still good for the juniors. 16-hour journey just to play a couple of games and then going all the way back again. There were nany formidable teams. Those days gave me much of my most valuable experience, living life at the highest level in sport. You see the reality, and from that reality great players emerge. - Have you grown accustomed to Russian traditions? - There is a lot of them, and I understand them and respect them. Some things are done in certain ways, and when you are a guest in a country; you respect and learn that country's traditions. The fact that I had lived in Italy helped me to adjust here, as the two countries have so much in common: the people are emotional, very oriented toward the family, they value family, friendship, and they live for the moment. They could be weighed down with problems, but they still try to enjoy the moment. - You were born in Canada, so why did you go to Italy to play hockey? - It was my dream to play in the NHL. After completing university, I got an invitation to camp from the New York Rangers, It was the rookies' camp, but the reality was that my dream was out of my reach. However, I still really wanted to play hockey, and the option to play in Italy arose. I grew up in an Italian family – my parents emigrated from Italy to Canada, and at home they spoke to me only in Italian, never in English. As you get older, you begin to value your family's culture more. I knew they played hockey in Italy and I had duel citizenship, so when I got an offer from an agent I traveled to Cortina. I still live there, a beautiful place. I played for Italy at the Olympics, and the World Championships, where in 1994 we achieved 6th place, our nation's best result. It was a special moment for me when I first put on the Italian jersey. I'm still a Canadian at hockey, still Canadian in mentality, but there were many of us Italian-Canadians who were very proud to be wear this jersey. - Since you were born into an Italian family, why did you choose hockey? - Soccer is not suitable for Canada, as the winters are too cold. Hockey was on TV twice a week, but on Wednesday evenings I only got to watch one period because the program would start late. On Saturday I could watch the whole game, and Sunday was family day when we went to church. Children play hockey everywhere in Canada, so it did not take too much time to understand the sport. You want to be a part of a group, trying to achieve goals as a group. I did play soccer, too, and I was the Canadian U-15 team, and I loved it. However, that was when I made my choice and opted for hockey. - What is your favorite soccer team? - I am not a fan, but all my three sons cheer for Juventus. I played four years for Silvio Berlusconi’s hockey team in Milan. I played alongside Russian defenseman Dmitry Frolov. In those days, in Milan, we got tickets to the soccer games, so we saw Ruud Gullit, Marco van Basten, Franco Baresi play. We were invited to their training sessions and met them. It was clear to all that everything at AC Milan is done to make a team a championship-winning team. Berlusconi knows how to create conditions for athletes to succeed. We won the championship and we were invited to his villa, We were very impressed, and he knew all our names. name. You always remain part of the Milan family, and we are still in touch. On to of that, I signed my first contract in Milan with Fabio Capello, as he was Director of Sport overseeing all the various teams in different sports at the Milan club. He has a house in Lugano and I invited him once to the team locker room when I was coaching there so he could meet the guys. He is a world-class coach and he loves hockey. He said it's great to see a man's game, with no diving and simulation, and that's why he loves English football and hockey. He wants to see a real contest, where they battle.